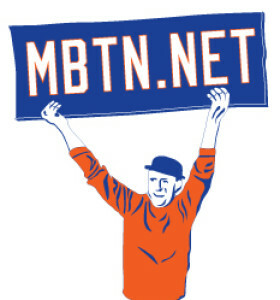 I fell asleep halfway through but for the first time in weeks the Mets didn’t, earning a win behind some great defensive plays and a clutch hit by of all people, Jason Bay. And just like that, they look prepared to win a few games again (as long as they can resist bunting as much as they did last night). I was kind of saddened to hear the team designated Fernando Nieve for assignment, even though I’m sure he’ll land safely in Buffalo. But if you need an example of what’s wrong with how Jerry Manuel uses the bullpen, here’s your guy. Forced onto the team as a result of having no minor-league options, Nieve was used in the Mets’ first four games, six of their first eight, and 9 of their first 13, a completely unsustainable pace. In all he made 24 appearances with one or no days rest. He was used in short relief and long relief, in close games winning, blowouts losing, and even got a start. Predictably, his effectiveness wobbled under the workload and he went from a 100-game pace to a forgotten man in an instant, which seems a waste of a young guy with a good repertoire if some control issues. Manny Acosta was recalled from Buffalo to take his place and outfitted in the same No. 36 he wore earlier this year. Former Met coach and director of player development, Casey Stengel disciple, and Cardinal-managing nemesis Whitey Herzog will be enshrined in Cooperstown this weekend. Richard Sandomir of the Times has a nice article today focusing on Herzog’s Mets career, quoting Keith Hernandez, Ralph Kiner … and me. As long as I was pointing out local media figures preying on what they considered to be a demanding and impatient fan base and poking the Mets with sticks to make a few headlines, I felt I should also point out that Mike Vaccaro of the Post has been providing a steady counterpoint more to my way of thinking. I wouldn’t necessarily agree with everything in this column, but compared to what John Harper’s been shoveling this week in the News, it’s a welcome contrast and — would you believe? — perspective. Numerically related content: Jason Bay wore 38 with the Pirates and most recently, 44 with the Red Sox. Fernando Nieve (I liked him quite a bit in his brief stay last year) owns the former at the moment while the latter went back on the market last week when the Mets declined to offer salary arbitration to disappointing signee Tim Redding. Nieve is a longshot to make the team and would be subject to waiver claims if and when the Mets send him down, but their timing could be OK if they manage to pull it off while other teams are passing their own guys though. That, or maybe a mysterious arm injury, would appear to be the Mets’ best strategy if they are to hang onto him. Bullpen jobs are going fast. With each passing day it looks like Bobby Parnell, Brian Stokes and Darren O’Day will join sure-shots Frankie Rodriguez, JJ Putz, Pedro Feliciano and Sean Green. Like Nieve, O’Day ( a Rule 5 guy) and Stokes (out of options) would be easy prey to enemy claims if they are sent down, so the question is whether Parnell can fight off guys like Ron Villone. Still two long weeks to go. Don’t forget our meeting this Wednesday, 7:30 pm at the Bryant Library in Roslyn.